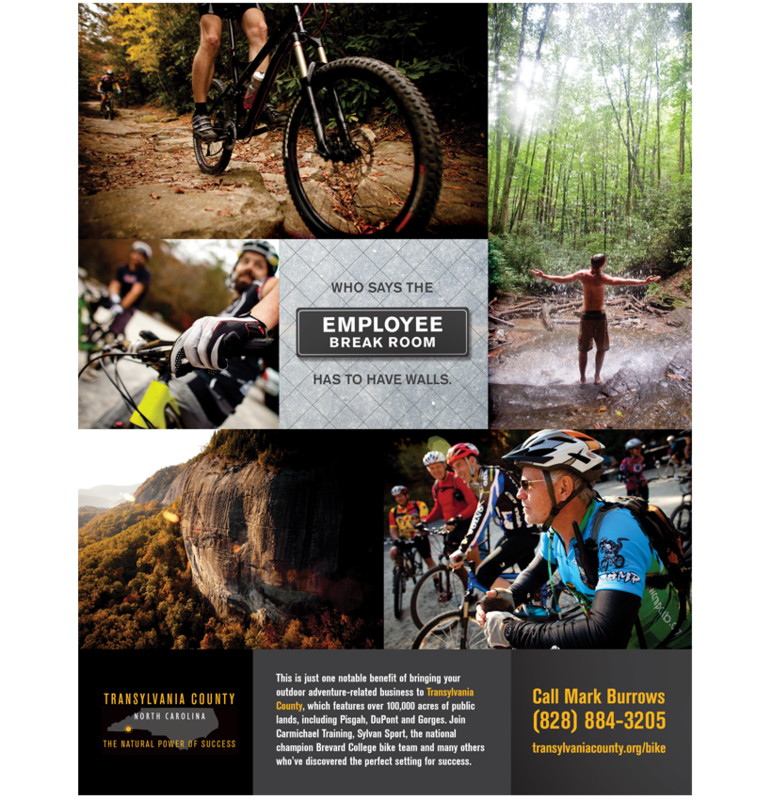 The Transylvania County Economic Development office asked for our help convincing bike-related businesses to relocate or expand their operations in Transylvania County. Our first task was to pick the right medium for the audience. Our choice? 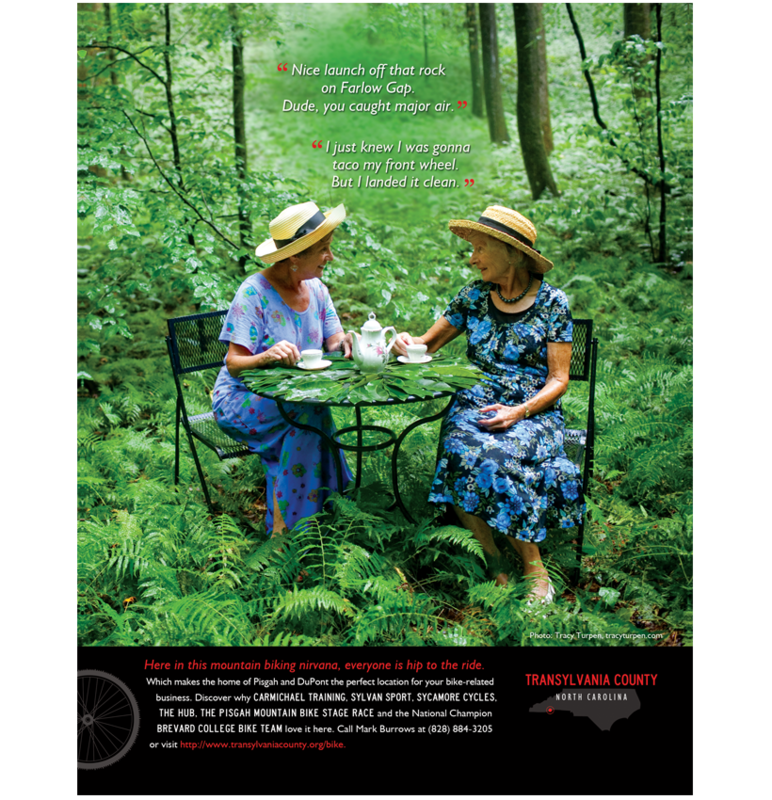 BIKE Magazine, the premier mountain bike publication in the U.S. This instantly created a problem. How do you stand out in a publication that’s known for its mind-boggling photography? As it turns out, not hard at all. We just eavesdropped on two 80-somethings who are still stoked after going gonzo on their badass whips.